The Sega Arcade Revolution is a dream to read - it’s informative without being overwhelming; it’s technical without being dry. 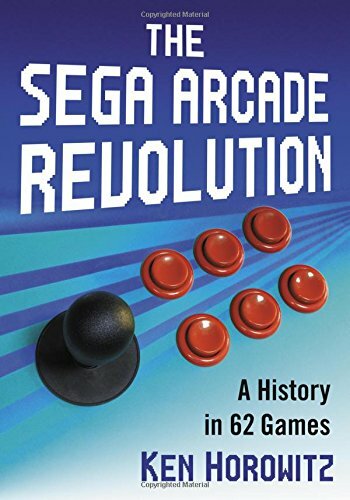 The way in which Horowitz weaves Sega’s arcade history through the development backstory of over 60 games is seamless and smart. Whilst some of the content amounts to a beautifully compiled regurgitation of existing interviews and documentation that an ardent Sega fan may have previously read, this is complemented with informative new translations to keep the experience fresh. Overall, this is the simplest way to digest Sega’s sprawling arcade history without referring to an array of disparate sources. The choice of games hits all the right notes, highlighting the innovations and limitations of each title, rather than presenting each as a bona-fide classic. I loved the Power Drift backstory which detailed the unorthodox methods employed by the development team. They constructed a physical plaster and paper model of the tracks, which were raced with remote controlled cars. This tested the technical validity of the designs before translating tracks into software. If I was to level one criticism at The Sega Arcade Revolution, it would be with the supporting imagery. This is mostly limited to dry US flyers, coin-op trade magazine covers and corporate photos. It would have levelled up the experience to see design docs, concept artwork and Japanese promotional imagery closer to the creative process. I’m presuming this was due to licensing limitations and access to the source material. The cover is a particularly odd choice, given so few Sega arcade games use 6 buttons, but it does reinforce the old adage - so don’t judge the book by it! A book of this depth and quality is a rare occurrence and I applaud Ken Horowitz for pouring passion into a project that, at times, felt like it was written for me personally rather than for a wider audience. I’d advise anyone with even a passing curiosity about the inner workings of Sega to purchase a copy. 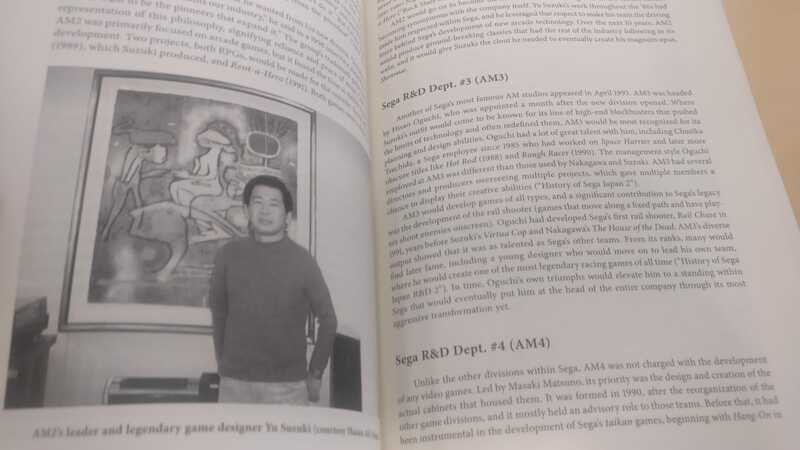 I contributed to this book (you'll see me in the sources as Ethan Johnson) and I wanted to clarify that this book was not officially endorsed by Sega, therefore Ken couldn't use material from them. He reached out to get some official support, but they turned him down because nobody had ever done an arcade book with them before. They had a division for helping people with console material, but not for arcades. Therefore Ken only had access to material that appeared in Replay magazine, Cash Box magazine, and photos he was provided by his interviewees. Hi George! Thanks for replying. It's a shame Sega didn't endorse the project as it's such a comprehensive overview of their history. Perhaps after they see the quality of the final result they'll provide some material for the second edition. It would be great to have an English equivalent to the 'Sega Arcade History' book from Famitsu. Here's hoping!